The world does not belong to us. If it has a master who is stupid enough to want it the way it is then let him have it. Let him count the ruins in the place of buildings, the graveyards in the place of cities, the mud in the place of rivers and the putrid sludge in the place of seas. The greatest conjuring trick in the world no longer enchants us. So what is actually happening in Egypt? When will it end? Will it end? And most importantly, should it end? 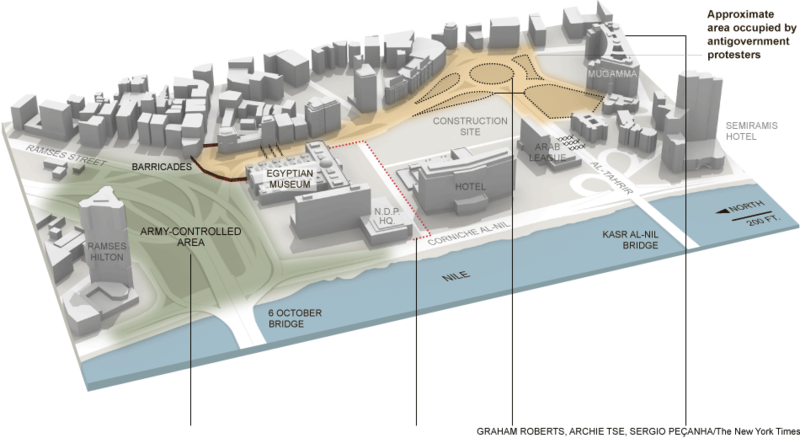 Egyptian protesters have occupied tahrir and certain streets in cairo and have set up their own “Free Egypt” inside. What’s happening in Cairo is something that has happened before. It happened in May 68 in Paris, when students occupied their universities and started holding free French classes for their immigrant worker friends. It happened in the Greek uprising of 2008, when people occupied everywhere from town halls to parks to universities and used them as places to organize. Used them as places to meet and plan and act together. What I’m talking about is autonomous self-organization for a new life. It comes down to this: No one can give you the life you wish you had, you have to make it yourself. It’s pointless to demand a new world from politicians and dictators; they could never give us anything but more of the same. The only thing left is to organize to create it together, as equals. ~ by Vanzetti on February 11, 2011.